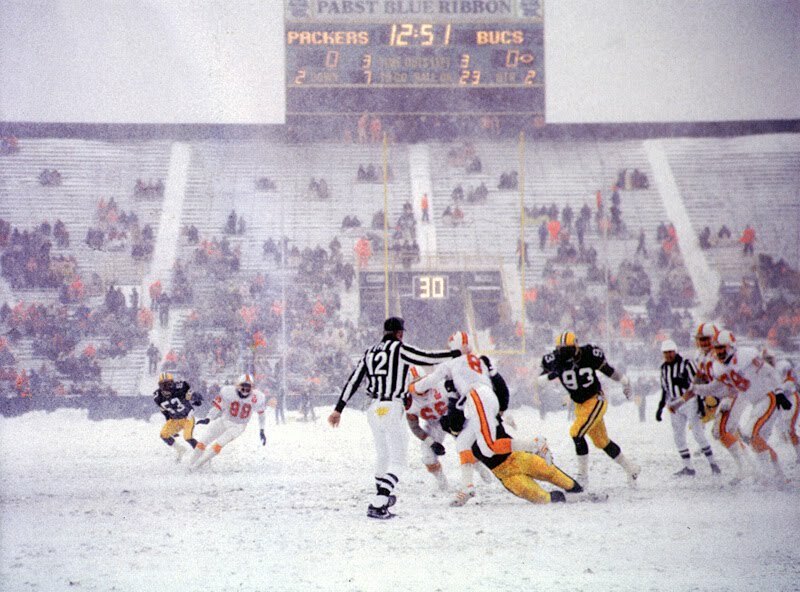 The Snow Bowl was played on December 1, 1985 — a game between the Green Bay Packers and Tampa Bay Buccaneers at Lambeau Field in Green Bay, Wisconsin. It is known for its heavy snow and adverse weather conditions. 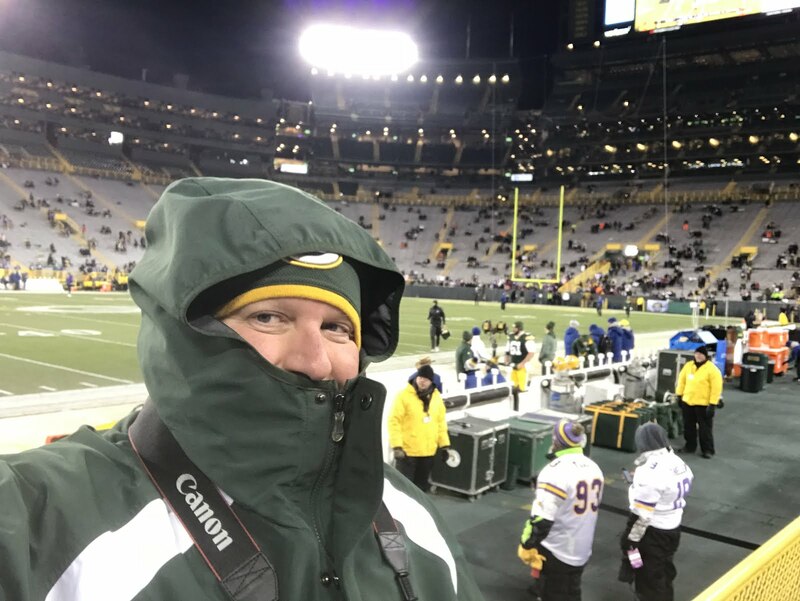 Only 19,856 were in attendance, with over 36,000 “no-shows,” the most in Packers history. About two-thirds of the stadium was empty. Twelve inches of snow fell before the game and another four to five inches fell during the game. 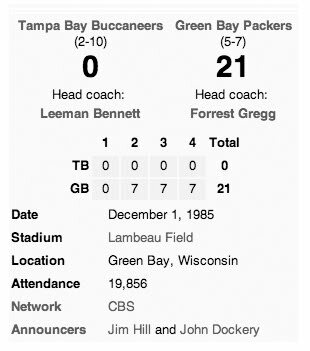 The game itself saw the Packers dominate the Buccaneers en route to a 21-0 victory. 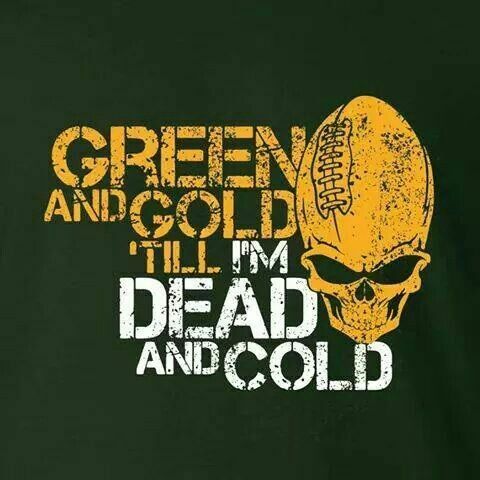 Despite four turnovers, the Packers offense gained 512 total yards on 31 first downs, with the Buccaneers recording only 65 yards on 5 first downs. Packers wide receiver James Lofton received passes totaling over 100 yards from quarterback Lynn Dickey by halftime. Packers defensive end Alphonso Carreker sacked Buccaneers quarterback and future Pro Football Hall of Fame enshrinee Steve Young a then team record four times. It was Young's second game in the league after he left the USFL. Tampa Bay wore their white "away" team jerseys, which were difficult to see during the whiteout conditions. Coaches and commentators had difficulty seeing the field. Between plays, grounds crew workers swept snow off the lines marking the field. A Buccaneers wide receiver described catching the football, "I think it was pretty close to 20-below. It was snowing — you could barely see past 15 yards. All you knew is coming out of the mist of the snow and the white mist, you would see the ball come out of the white. 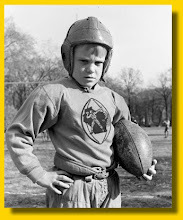 You knew what the route was and you knew the direction of the ball."